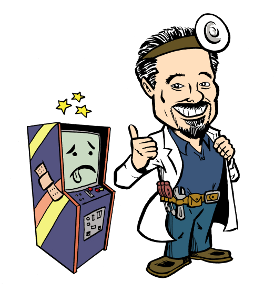 We work on quite a few Williams machines and have worked on many Defender , Robotron 2084 , Joust , and even occasional Sinistar games. 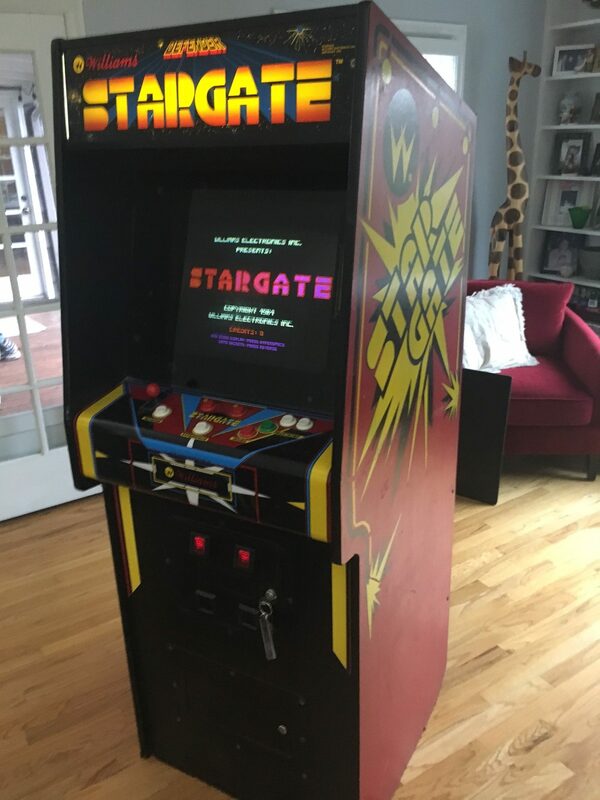 This Stargate that we fixed at a customer’s house is the cleanest one we have seen in a long time. The paint on the sides had a few mars but other than that, it looked awesome with none of the wood splitting on the bottom of the cabinet that we usually see. The control panel was one of the original slick, shiny plastic versions that came with these machines and it is completely free of cigarette burns! 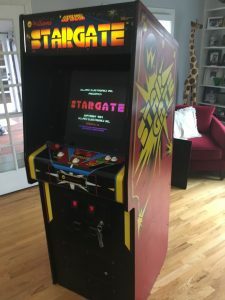 Usually when we see a Stargate, the control panel is usually burned like crazy or someone has replaced it with one of the textured aftermarket control panel overlays. Learn more about our repair services. Learn more about our restorations services.